Being the smallest state in India, Goa is home to hoards of fascinating places to explore.As the beaches are named the most appealing aspect of Goa tourism, one must not forget that the same Goa also encompasses various other exciting places to encounter such as ancient architecture, bold adventure activities, pod of dolphins and esthetic Goancuisine. However, there is another attractive place which every traveller must visit before leaving Goa and that place is none other than the cheap shopping places in Goa. If you want to buy a boho-chic dress for yourself or a unique and cheap souvenir for your loved ones, without any second thought, explore the various places to shop in Goa. 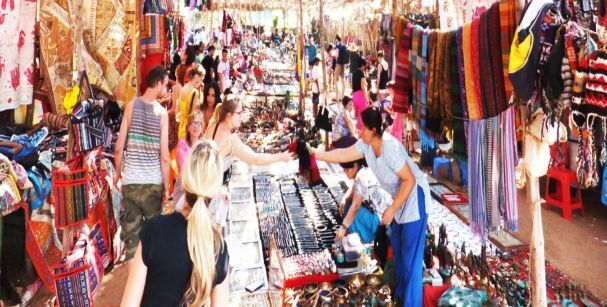 Situated in North of Goa every Wednesday,AnjunaBeachFlea Market is the most popular street market in Goa. As it is widely-known all around Goa, visitors from every walk of life make sure to attend this interesting market.It is a shopping heaven for the ultimate shopaholics as it comprises of loads of stuffs from various categories such as clothes, jewelry, handicrafts,musical instruments,spices and a lot more.This market will provide you with the opportunity to examine your bargaining skills and buy the products at reasonable prices. 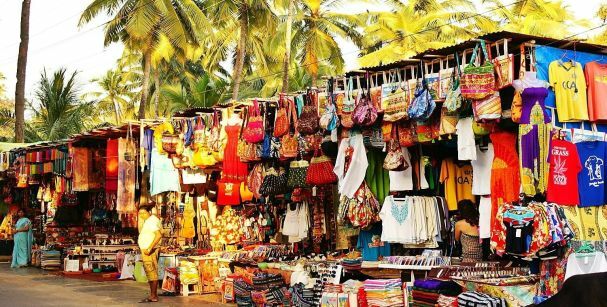 Similar to the other street markets, Mapusa Market in North Goa holds various beautiful clothing, beachwear,earthenware, crafts,elegant ornaments and much more. Goa specialty for shopping is not limited to just clothes and other eye-catching stuffs but also various stomach satisfying stuffs. Thus, if you want to buy the best vegetables or other food items, then this is the best place for you as it consists of several kinds of vegetables, fruits along with dried and fresh fish, lobsters, crab, mussels to name a few. The well-known Chouricos sausages are also easily and widely available in the market. Street shopping in Goa is not complete if you have not visited the Calangute Market in North Goa. 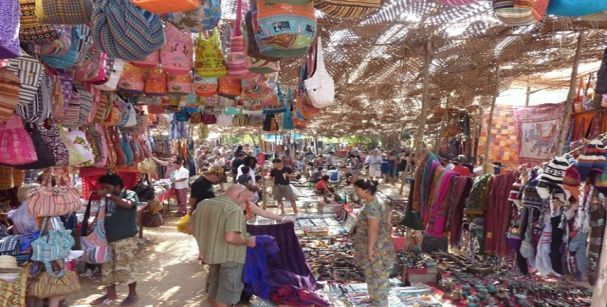 The market is full of shacks and stalls lined up by the beach and you will be offered with various stylish and pretty clothing like sarong, jewelry, handicrafts, and beer as well. Aside from this, the market also sell ornaments especially made of sea shells which is a must buy for everyone. Margao Market is the best market if you desire to do food shopping in South Goa. The Margao Market is the place to buy wide-ranging vegetables, fruits, meats, seafood, and other exotic food stuffs.It is also a great place for the photographers to capture some interesting moments of the Bazaar and add it to their Goa memories. It comprises of various markets that take place on only the Saturdays and that too, at night. 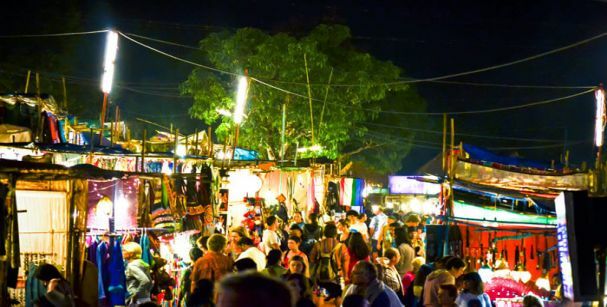 Markets like Ingo’s Saturday Night Bazaar,Mackie’s Night Bazaar and Baga Market are the most popular Saturday Night Markets Goa. These markets are an endless treat for the tourists as it not just offers them with excellent clothing choices but also crafts, ornaments and amazing eateries ranging from Indian, Chinese to Continental and Italian cuisines. If you are in search for the cheap and best Goa tour packages, seek help of our proficient services as we will help you to choose from the various cheap Goa holiday packages to make your vacation a beautiful and memorable affair.